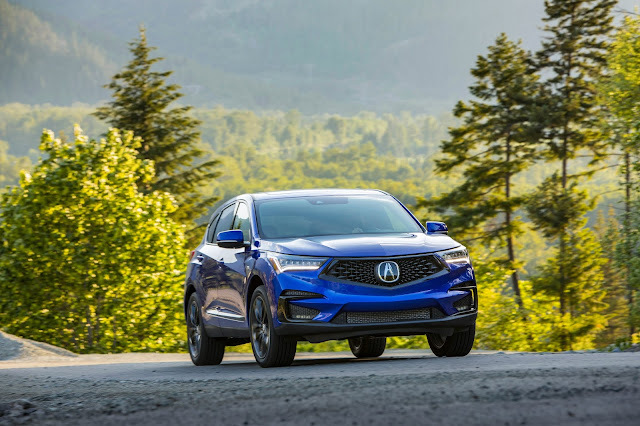 The 2019 Acura RDX A-SPEC. Acura, the upscale division of Honda, can't seem to catch a break. From a golden beginning in the 80s through the early-mid 90s, everyone in automotive circles seemed in agreement that building a better--or at least nicer and more powerful---Honda was a good thing. For the past 20 years though, a lot of my fellow automotive journalists have been saying it's not enough and even wondering why there should be an Acura at all. The new 2019 Acura RDX A-SPEC should answer all those questions---but raise a brand-new one. 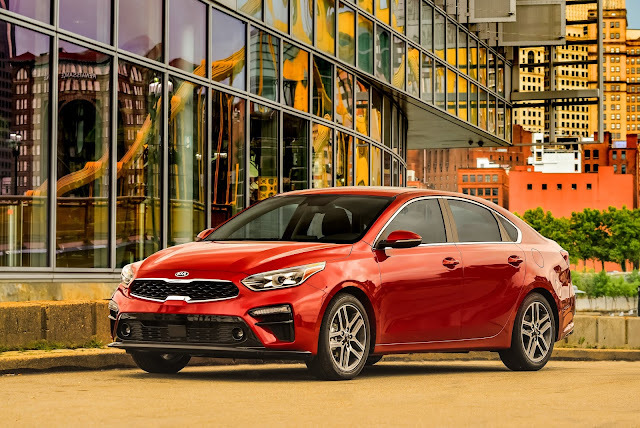 The 2019 Kia Forte EX. If you believe everything you read, the four-door sedan is dead but doesn't know it yet. People who analyze data and trends say we're headed for a future made up of crossovers, high performance coupes and ultra-luxury anythings because there's always a market for the exclusive and expensive---even if they're four-door sedans. This might be age talking, but I'd hate to see that happen. Because there is little on this earth as satisfying as a well-built four-door sedan. BMW proved that all the way back in the 1970s with the 5-series. Honda brought it to the masses in the 1980s with the Accord and Civic sedans. Up to that point, two-door coupes were where the action was. America wanted Oldsmobile Cutlass Supreme coupes with vinyl roofs. Until it didn't. The 2019 Toyota Land Cruiser. If you want to gain an appreciation for a full-size, four-wheel drive SUV, drive one in a snowstorm. That's how I came to know, appreciate and eventually own a 1993 GMC Suburban---after driving the one owned by the television station I worked for in Phoenix, Arizona in the early 1990s in a severe winter storm in Flagstaff. Flash-forward nearly 30 years. My wife and I are going to Lake Tahoe for a four-day weekend to celebrate my birthday and---as it has been most of this winter, it seems---it's snowing. I've requested, weeks in advance, "anything with all-wheel drive". I'm originally scheduled in a Mazda CX-5. A lovely vehicle, one I like a lot. A couple of days before the trip, it gets pulled and replaced with a Hyundai Santa Fe. Again, more than fine. An excellent machine and it meets the main requirement---all-wheel drive. Then comes the text. My contact at DriveShop, which contracts with manufacturers to prepare and deliver vehicles to automotive reviewers, was looking at the wrong week on the calendar. 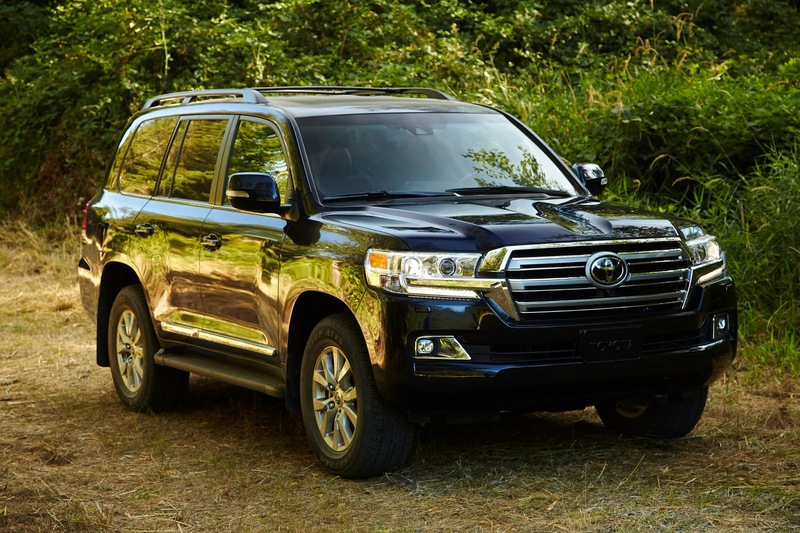 One more switch---this time to the 2019 Toyota Land Cruiser. This is not a consolation prize. This is hitting the jackpot. The 2019 Lexus LC 500. True confessions: I am a beauty addict. Nature, art, music, elegantly designed objects---all inspire a sense of awe in yours truly. Apart from "I love you", the three words my wife hears most often from me are "look at that". It helps that we live in a beautiful place (Northern California), that we're both passionate about music and art and that my job brings a steady stream of objects to my driveway, some of which are elegantly designed. 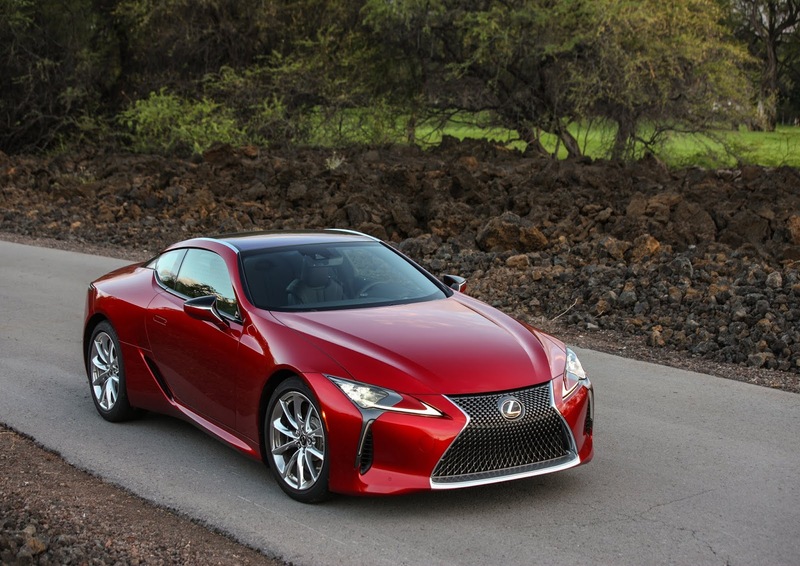 Of those objects in the driveway, the Lexus LC 500 tops them all. It is, in my book, the most beautiful new car you can buy today in America. And it sits very nicely on my list of the great car designs of my lifetime, which include the first-generation Jaguar E-Type, the original 1963 Corvette Sting Ray and the 1965 Buick Riviera (yes, the '63 and '64 are the same design, but the hidden headlamps on the '65 seal the deal for me).